Not only do we use it in all sorts of products, but acid rain also plays a part in presenting the metal in forms that we can ingest. Acid rain breaks down aluminum in the earth which then runs off into our water supplies. It then contaminates the seafood. It's in cigarette smoke so we breathe it in as well. I suggest you look for Aluminum-free products. 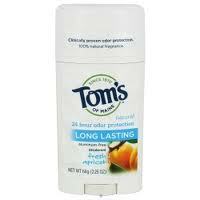 A great alternative deodorant is made by Tom's Of Maine and can be found at Walgreens, CVS and Walmart. Over the past 2 months, NFormd radio and some of the hosts have endured daily harassment by what we now believe to be a network set up to tear apart the movement. After several articles with mostly fabricated lies being posted on their site, that have no bearing on what this movement is or stands for, I have decided to debunk all of this. I want to assure our listeners and anyone else who reads this, that NFormD radio has no "beef" with anyone and we will continue in a forward motion. On Friday, October 29, 2010, The San Jose Police Department (SJPD) will host a press conference at the Police Administration Building (PAB), 201 W. Mission Street, in the Bureau of Investigations (BOI), room 314. Millions Of Pieces of Halloween Candy Found to be poisoned! For years now parents have been taught to check their children's halloween candy for pin holes, tears or other signs that the candy may have been tampered with. But most parents fail to look at the obvious sign of poisoning, the ingredients on the package. After digging through my own children's bags looking for something to cure my sweet tooth, I began reading the labels. Interesting chemicals I found in most of our favorite treats.